Bienvenido is a Latin Grammy award winning jazz pianist and a Yamaha certified instructor who has been active for over a decade. 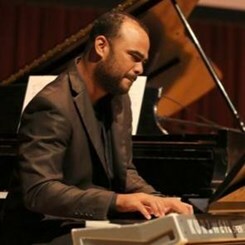 Bienvenido studied jazz piano at both the Conservatory of Music of Puerto Rico and the Conservatory of Music of the Dominican Republic, with a degree in Jazz and Caribbean Music. He also holds a certificate in composition, arrangement and harmony of Jazz, issued by the University Pedro Henríquez Ureña (UNPHU) Santo Domingo, sponsored by the United States Embassy in the Dominican Republic. Bienvenido’s performing experience includes groups such as Charlie Sepúlveda and the Turnaround Latin Jazz Group, Fidel Morales AfroCuban Jazz Group, and Au Vivo, for whom he was musical director. He was also nominated for a Latin Grammy Charlie Sepulveda and the Turnaround, with the album "Mr. EP a Tribute to Eddie Palmieri" in 2017, and one a Latin Grammy the same year as a pianist on the album "Tribute to Benny Morel", with Jon Secada. Bienvenido has been teaching since 2006, both in school settings and in individual private lessons. Though he specializes in jazz, Bienvenido teaches all genres of music, to beginning musicians and advanced musicians alike. Request Lessons with Bienvenido Dinzey today!